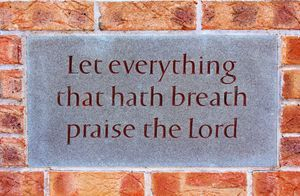 December 12th 1992 – the laying of the Foundation Stone of the new Southside Methodist Church with a Time Capsule created by the young people, placed behind the stone. March 1990 – Fletton Avenue Methodist Church (founded 1900) and London Road Methodist Church (founded 1906) joined their congregations to become Southside Methodist Church, meeting initially in the old London Road Chapel. September 1992 – the final service in the London Road Chapel.The chapel is demolished, and the congregation met for worship in the Belsize Community Centre. Good Friday 1992 – a service was held in the roofless shell of the new church. 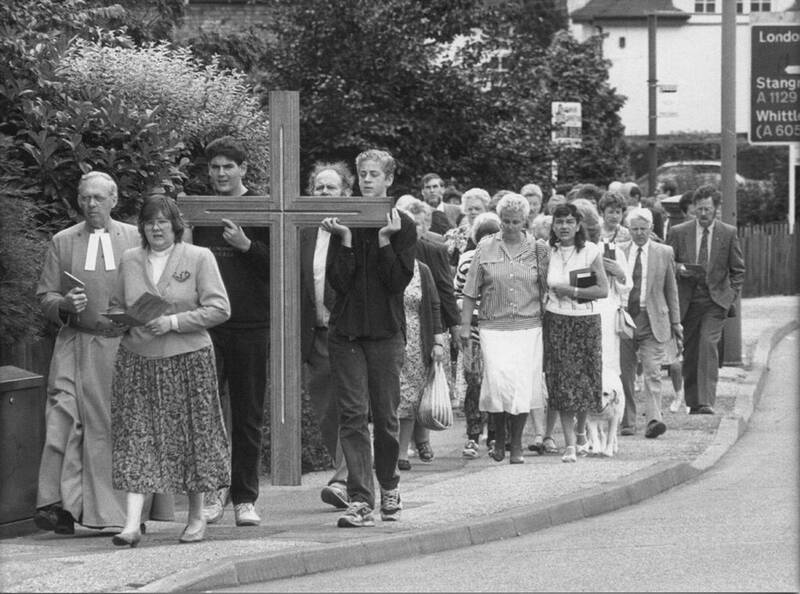 July 18th 1993 – the congregation, led by the wooden cross from the old Fletton Avenue Church, walked from the Community Centre to Southside Church for the official Opening Ceremony led by Rev. Barbara Scott with the Superintendent Minister, Rev. Donald Sampson. September 25th 1993 – a ‘Service of Celebration and Dedication’ was held in the presence of the Mayor, the M.P. and representatives from the Circuit Churches. For more than 20 years, Southside Church has provided a centre for Christian worship and community activity, building on the past and looking to the future.